Give us a call for your free estimate! In need of a repair or complete roofing make over? 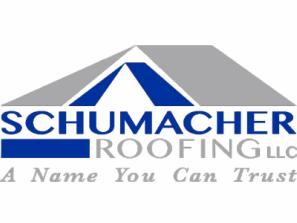 Schumacher Roofing has you covered. We're a family owned business helping people in the Northern Kentucky and Cincinnati area. Our roofing is also designed to save you money on heating and cooling costs. This alone will save you money in the long run! Schumacher Roofing provides residential roofing services in the state of Ohio including Cincinnati, Batavia, Beckett Ridge, Blue Ash, Bridgetown North, Cheviot, Cincinnati, Covedale, Dry Run, Fairfield, Forest Park, Forestville, Franklin, Groesbeck, Hamilton, Harrison, Kenwood, Landen, Lebanon, Loveland, Madeira, Mason, Milford, Monroe, Montgomery, North College Hill, Northbrook, Northgate, Norwood, , Reading, Sharonville, Springboro, Springdale, White Oak in OH and in Northern Kentucky including, Alexandria, Bellevue, Brent, California, Camp Springs, Carthage, Claryville, Cold Spring, Crestview, Dayton, Flagg Spring, Fort Thomas, Grants Lick, Highland Heights, Melbourne, Mentor, Newport, Persimmon Grove, Ross, Silver Grove, Southgate, Wilder, Woodlawn, Belleview, Big Bone, Bullittsville, Burlington, Florence, Alexander, Atwood, Bank Lick, Bracht, Bromley, Covington, Crescent Park, Crescent Springs, Crestview Hills, DeCoursey, Edgewood, Elsmere, Erlanger, Fairview, Fort Mitchell, Fort Wright, Grant, Independence, Kenton, Kenton Hills, Kenton Vale, Lakeside Park, Lakeview, Latonia, Latonia Lakes, Lookout Heights, Ludlow, Morning View, Nicholson, Oak Ridge, Park Hills, Piner, Ricedale, Ryland, Ryland Heights, South Fort Mitchell, Staffordsburg, Summit Hills Heights, Taylor Mill, Villa Hills, Visalia, West Covington, White Tower, Hebron, Hopeful Heights, Idlewild, Limaburg, Marydale, Oakbrook, Petersburg, Rabbit Hash, Richwood, Union, Verona, and Walton. If you can put a ladder up to it, we can put a roof on it. ​to get it done in a timely manner."